Our family winery was founded by two brothers Marek and Michal Lípa in Mikulov, South Moravia, a picturesque town in 2000. Marek studied at a winemaking school in Austria and Michal graduated at the school of gastronomy and hospitality industry. They follow together their family tradition. 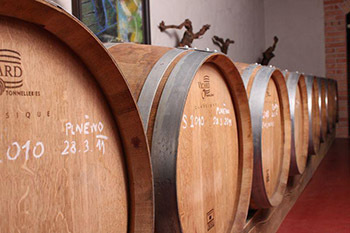 The company processes the grapes from Mikulov and Slovácké subregion. 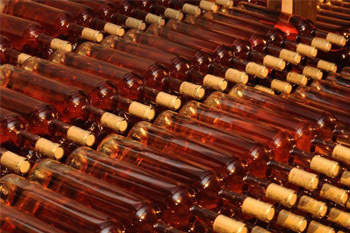 The grapes are processed from the very beginning with a modern technology. The wide range of varieties is changed according to the season. The annual volume pf the production has recently been rising. On the each bottle, there is an atypical front label – for quality varietal wines and earth wines are the labels in black colour with a flowing title Wine Lipa Mikulov. This design adds only a narrow gray stripe with a name of specific type of wine. In case of attributive wines there is only large white or black L. The top of the bottle is closed with valves in black and white checkerboard style or gray screw caps . Please find more information about the winery and the possibility to purchase our wine directly in the e -shop www.vinolipa.cz.